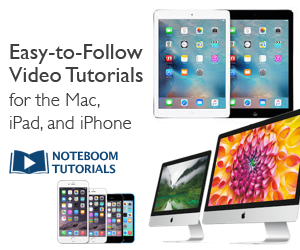 iPad Tutorial: What Are Push Notifications? How Do I Manage Push Notifications? This past week I spent three enjoyable days leading iPad professional development for a local school system. A few weeks ago these 100+ teachers enrolled in my online iPad Academy Master Class to learn the basics of using their iPads through 21 convenient video lessons. We then got together on site at the schools to begin exploring applications of the iPad for teaching and learning. One of the questions the teachers frequently asked was about push notifications. When opening a new app for the first time, you are sometimes asked if you want to allow the app to send you push notifications. So I thought I’d spend a little time here explaining the iPad’s Push Notification feature. 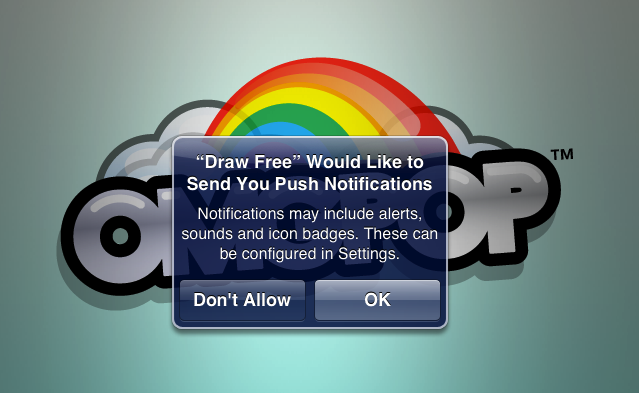 Push notifications are a way for an app to send information to your iPad or iPhone even when you aren’t using the app. Apple’s Calendar, Reminders and Messages apps are three examples of apps that can send helpful notifications even while your iPad is busy with another task. In fact, these three apps can even send notices to the iPad lock screen. The notification will send you a message as an alert or banner. When you tap it, it will direct you back to the app for more information. 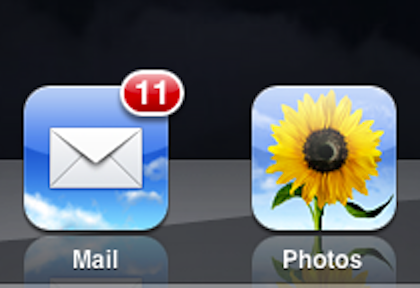 Notifications can also take the form of badges or red ovals with numbers showing recent updates. For example, your iPad Mail app and the App Store app notify you this way when you have new mail messages or apps that need updating. You can manage all these notifications in Settings. Go to Settings > Notifications to choose the apps you want to receive notifications from. You can also select what form you’d like the notice to take – sound, badge, alert or banner, depending on the options the app includes. 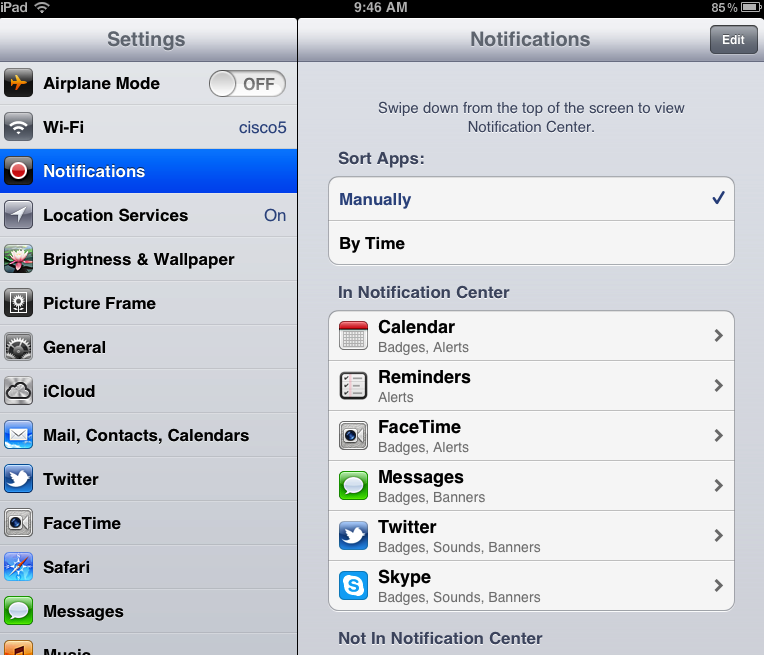 Calendar, Reminders and Messages are apps you’ll probably set up in the Notification Center on your iPad. You’ll generally select “Don’t Allow” when asked if an app can send you notifications. If you later change your mind, you can easily add the app to your approved list.